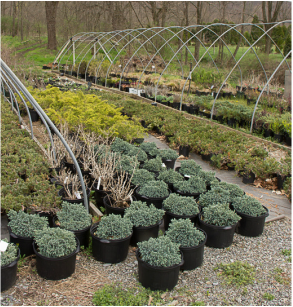 ﻿﻿Greenawalts Nursery is located on Lower Snake Spring Road near Everett Pennsylvania. Owned by father and son team Bill and James Greenawalt. They are proud to offer a full range of residential and commercial landscape services, to suit your tastes, property and lifestyle. We have a proven track record of offering creative landscaping solutions that fit into your specifications and budget. Greenawalts Nursery has earned its reputation as a leader when it comes to creating practical & creative landscapes for clients. With over 35 years of experience, we have gained extensive knowledge of plant material, color schemes, trends in landscape design, and what our clients want. Our services are a blend of creativity, understanding, and aesthetics.